When National Tiger Conservation Authority of India published their landmark report in 2008, the shocks of its results were felt throughout the country. 1411. Yes this number turned out to be the total strength of our national symbol. They were now endangered species. The likes of blue whales were no longer the only concern now for the wildlife enthusiasts. From 1411 to 1702, a journey that was made possible by the efforts of “Save our Tigers”campaign is seeing some heartwarming results now. Digging deep into the Aircel’s initiative, one gets happily surprised to realise that the campaign is more about bringing man closer to understanding animals and the natural by product is conservation of wildlife. 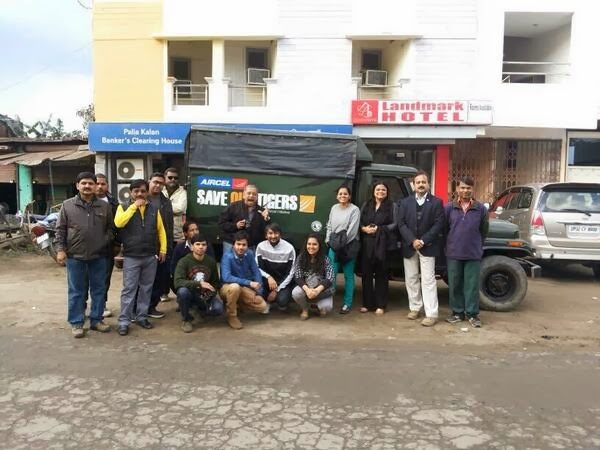 It is a well researched, adequately supported campaign by the likes of Wildlife Trust Of India. Dr Ashraf from WTI in conversation with me explained that the real reason behind fast depletion of tigers around is the elusive man-animal conflicts on the rise. He went on to detail out the steps being taken by the “Save Our Tigers” campaign in mitigating those conflicts. Presently for the campaign, Dudhwa national park besides having the forest reserve team also has a resident sociologist and biologist who help achieve the salient point of the campaign. An in-house doctor is always around who serves not only injured tigers but also other animals. “Tigers can not be the only point of understanding in this campaign. It is right at the top of food chain pyramid. Hence you need to consider every single animal in the jungle for the success of this journey,” Brinda, Head CSR at Aircel, explained to me. Brinda is also the person who back in 2009 brought this campaign to the table as a part of the CSR initiatives at Aircel. 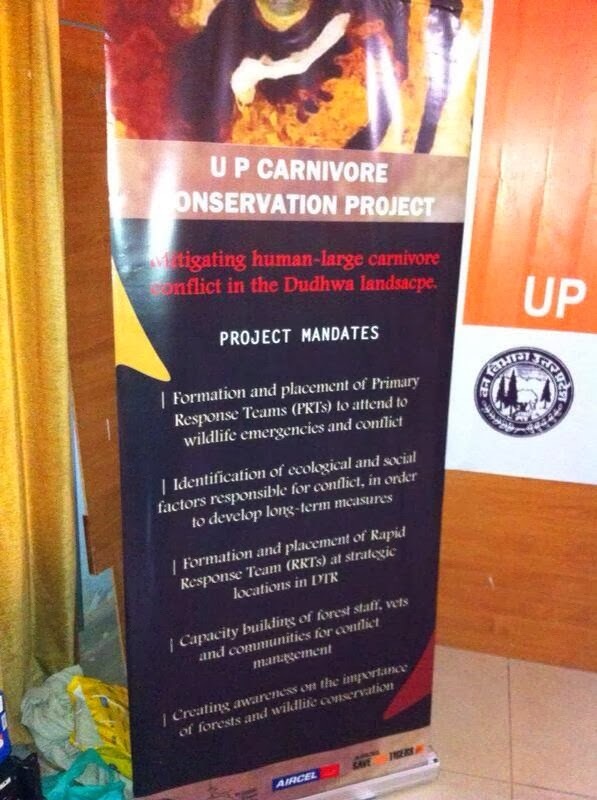 Her understanding of the wildlife conservation and also the ongoings of the initiative across the country is what keeps this going successfully on and on. “What is it that you think Aircel brings to this campaign that perhaps governments have not been able to?” I asked this question to the panel. And this left us thinking for long. Perhaps this is why today we are always looking for ulterior motives, benefits profits. And it is such a heartwarming moment to realise that yes there are people campaigning only because they think it is the rightful thing to do. There will be more things I will hop along for you in coming few days. I can assure you at the end of it you will be inducted into the madness of saving our tigers in the name of pride and joy. Its always nice to read your articles Richa..thank you for sharing! What a beautiful, majestic animal. I wish the Save Our Tigers group every success. We mustn’t let this magnificent creature dwindle to a few examples in zoos around the world. Yes Francene we mustn’t at no cost..
Good work done, Richa…Good luck! Thanks a lot Kajal 🙂 and yes it would be very sad to see them extinct..
I’m so happy you are a part of this…looking forward to hear more! And yes it’s true that there are people who without any ulterior motive work for a better future for all. What Brinda said makes so much sense no?, that since Tigers at the top of the food chain we have to consider each and every animal! Awesome! Awareness has a domino-effect. The start is tough, and that is done for the Project Tiger. It can only catch momentum from now on. Soon we’ll see 2000 and 3000 tigers, and will need to have much better facilities to give them back their natural environs.